In 1983, Vincent Lauriot-Prévost and Marc Van Peteghem became associates and founded the naval architecture agency VPLP (the acronym of the initials of their names: Van Peteghem and Lauriot Prévost). Together, they specialize in racing multihulls design. Their first boat is a 50-foot (15m) foiler baptized Gerard Lambert and was the first in a long line of racing trimarans. Their multihulls became famous and won many victories in races, including the America’s Cup in 2010 and records around the world. Later, this success would Marc Van Peteghem and Vincent Lauriot-Prévost international references in the field of naval architecture. By 2005, VPLP Design (the naval architecture agency where I co-direct) had been designing winning ocean racing multihulls for 22 years. These super sailing yachts were built to transport their owners on round-the-world cruises. During all of this development, knowledge acquired, and opportunity to have a choice and to succeed at a career - I questioned my own social, environmental, and human engagement and commitments. How can we adapt all that we have learned, in terms of construction, the optimization of form, of aero- and of hydro-dynamics, to benefit the least advantaged among us? 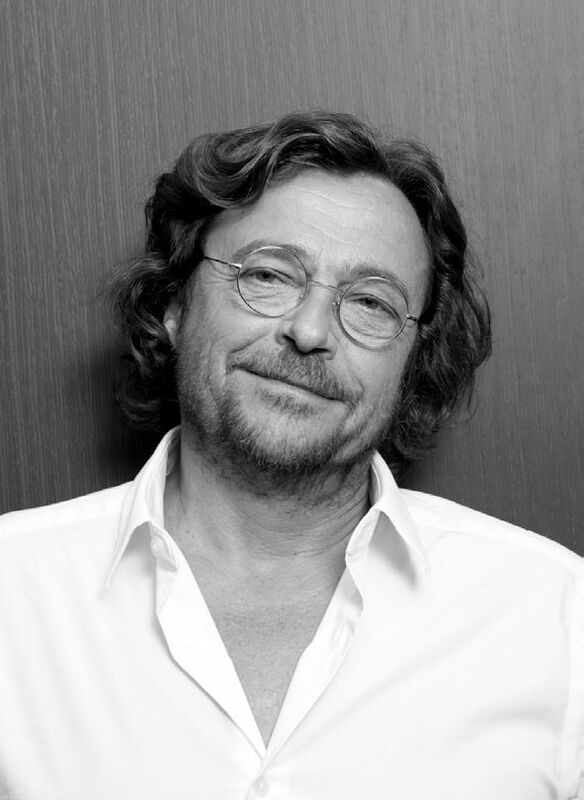 In 2005, French entrepreneur Yves Marre pushed the envelop of our agency. Yves told me about the work he did in Bangladesh (where he arrived by barge in 1994). He reclaimed a barge destined for the scrap yard and navigated through the Mediterranean, the Red Sea, the South of India, and finally the Gulf of Bengal. He met Runa -- who later became his wife -- and together they founded the Friendship NGO. 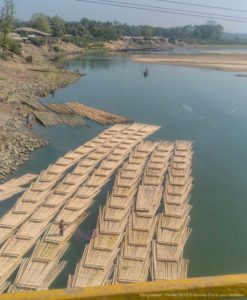 Yves transformed the barge into a floating hospital, and took it to the north of the Brahmaputra River in Asia to areas that had been totally neglected from both a health and educational perspective. Yves needed to build catamaran ambulances to attach to and radiate from the house barge. Together, we designed the ambulance catamarans and Yves set up the shipyard. The shipyard found its name in the Benali word Taratari, meaning quick. Together. we founded the Watever Organization. This is not a spelling error. It is a word coined from a combination of Water and Ever. 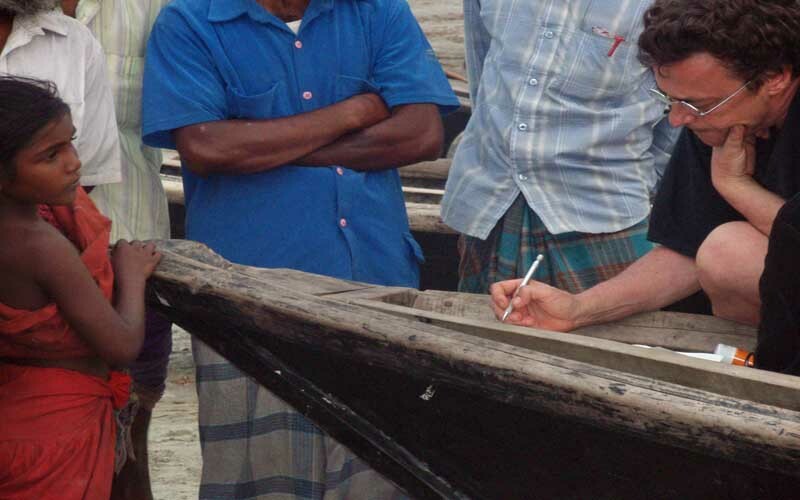 After the Cyclone Sidr hit Bengladesh hard in 2009, and the beaches in the south of the country were strewn with thousands of small day fishing boats, we realized that there was an urgent need to build safer and unsinkable boats. 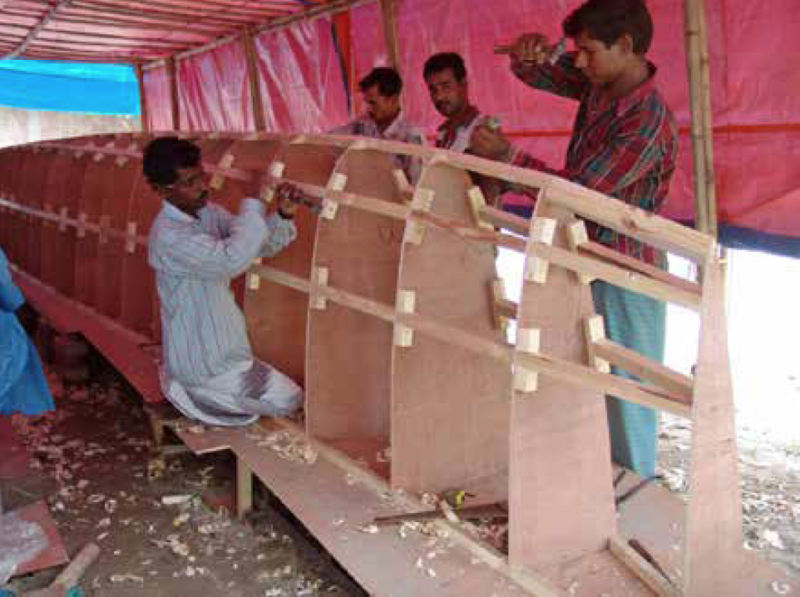 There, as in many places around the world, traditional fishing boats are made of wood. However, wood suitable for maritime use has become scarce and expensive. 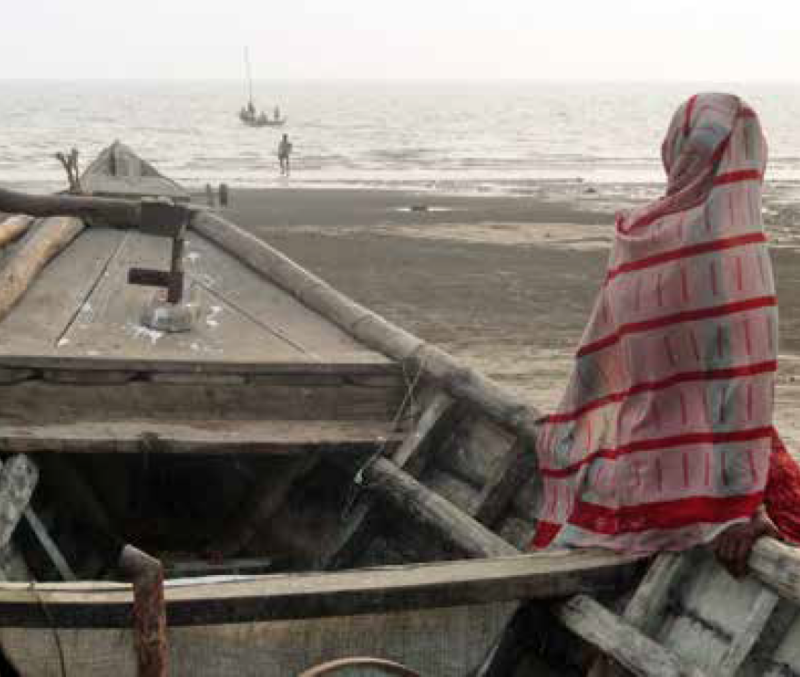 The boats of Bangladesh are built of wood that often requires rebuilding after two years, and every tropical storm results in hundreds of fishermen lost at sea. We designed a small fishing boat very similar to the traditional form that we prototyped for local fishermen and adapted according to their feedback. Volunteers came from France to help build these boats in a composite material made of fiberglass and a polyester resin tissue, and we produced about 80 sample boats. In an attempt to reduce the environmental impact and the costs of materials, we began a to look at using biomaterials. The country is the largest producer of jute in the world, and the industry is in decline. It seemed an interesting opportunity to see if it was possible to transform jute fiber into a technical fabric that could replace fiberglass. This resulted in the creation of another company, Gold of Bengal, led by Corentin Châtelperron. We have also been working actively on the use of bamboo for the naval construction - it is a resilient fiber that grows quickly almost anywhere, and absorbs a lot of CO2. It seemed to us that we also needed to create a training center in order to pass on the knowledge of these new technologies for naval construction; we have now marked 3 years that groups of young people are coming to learn from us what we had discovered. 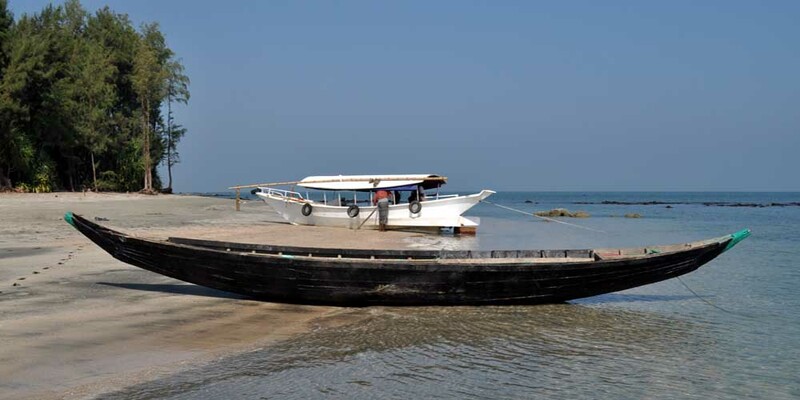 Natural disasters that hit the coasts of Bangladesh are becoming more and more frequent, and creating so much wreckage; Bangladesh has one of the largest maritime fleets in the world either on rivers and the sea. In consultation with local authorities, we initiated a sea rescue society, MSRS, Maritime Search and Rescue Society. This is a major project that requires a lot of resources, but its success is imperative. The shipyard has already been transformed and has produced several small lifeboats, we have begun to train crews for them. This country is one of the first to witnesses climate change. There is an urgency to evolve, but how does a country do that with the inertia of people who think that technology will solve everything? How do we get those people to understand that it is precisely this change that can carry a new prosperity, a possibility of a new well being, while the majority of people live frustrated, with a loss of the quality of their lives, and an increase in the cost of living? With the awareness that there was no more time to doubt the reality of global warming and the pessimism around the solutions for it, I looked for a way to involved myself concretely. Maurille Lariviere, the former director of studies at Strate College, the famous design school he co-founded, came to me and proposed that we create a new type of school where sustainable development would be in its DNA. The project evolved when Patrick Le Quément (former Director of Volkswagen, Audi, and Renault design) joined us. The three of us - aware that change would only be made by the know-how of young people taking advantage of this opportunity -- created The Sustainable Design School in Nice in 2013. We train students in general design techniques, innovative methods of design thinking, design knowledge and efficient innovations, and we share with them the human values that are central to this approach. Our school has developed eight partnerships per year with companies that entrust projects with these young people. We favor a diverse approach: several nationalities are represented in the school, and we welcome students from technical studies or the humanities, thereby enhancing richness of reflection and the quality of projects. It is a great pleasure to see these young people take their future into their hands. Ninety percent of what surrounds us, including what we wear, has reached us by boat. Maritime transport, which is expected to double again by 2050, represents a very significant part of greenhouse gas emissions and especially nitrogen dioxide and microparticles. The wind, this energy that is free, clean, and everywhere has always powered boats. In recent history, it has taken 100 years to replace the benefits of sailing with that of the machine. Today we must find innovative ways to use wind -- solutions have been explored since the 1930’s. I have been thinking about the Flettner rotor, using the Magnus effect (the turbo sail, the kite). My company VPLP was part of the BMW ORACLE team that won the 33rd America's Cup in 2010. The large trimaran we designed was rigged with a thick wing -- 68 meter wingspan. It occurred to me that this principle, adapted for commercial use, could give birth to a fully automated high-performance wind propulsion system, the surface of which could be reduced so that it could moor in a harbor or in the case of strong winds. We are currently developing a prototype and have designed projects for superyachts and cabotage -- the small boats traveling the world in the Pacific Islands, Indonesia or the Philippines, where they are the only links between men. As a father of five born in the late 1950s, I consider that my generation benefited from the promise of the infinite growth of a carefree society. It has assured a heavy responsibility for those of today - to move the world toward a more human model, one that is more altruistic and empathetic. Michel Rocard spoke very well of what was for him the meaning of life: the awareness of the oneness of life. We are part of a whole that must be preserved to survive. The planet does not need humans; in truth it would be far better off without them. Technology will serve as a tool along man’s way, but it is men themselves who bring the real value. As the hummingbird, I try to do my part.